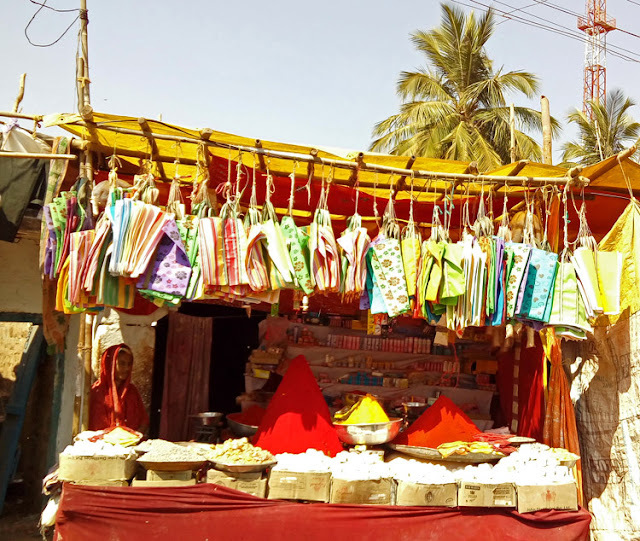 These are shops selling vermilion outside a temple in Badami, Karnataka. The red powder is used in pooja rituals in temples. The uniqueness of it is that the vermilion or kunku lies in large red heaps. Curious as to how it stays that way the whole day. Halad or haldi is also seen in the form of large yellow heaps. 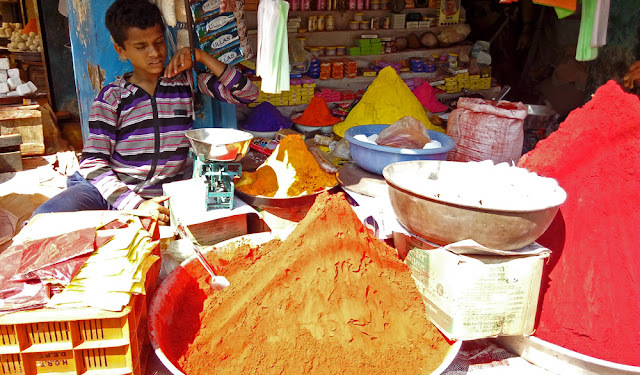 A young boy looking after the shop selling vermilion, haldi, and other items. 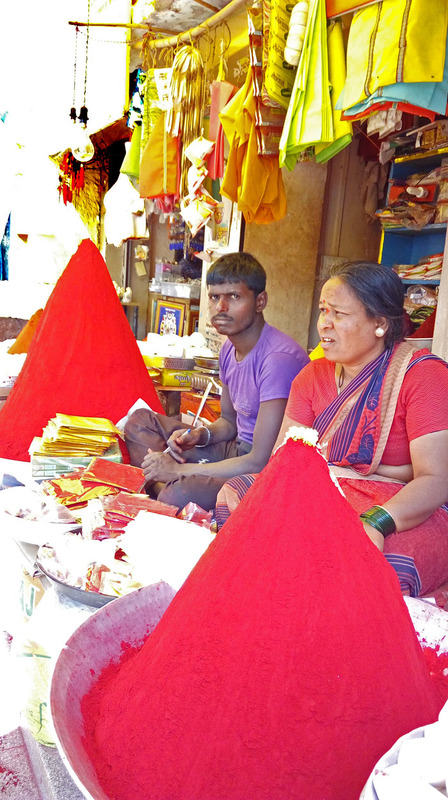 A couple in their shop besides the heaps of red vermilion.